Did you hear the one about the monkey who used a photographer’s camera while his back was turned and earned a fortune for his efforts? Unfortunately for David Slater from Monmouthshire, this was no laughing matter. Naruto, a male macaque monkey has been in a hotly contested legal battle with Mr Slater for the copyright earnings. Represented by PETA, a US court has denied Naruto’s claim for image copyrights but Mr Slater has agreed to donate 25% of the image earnings to charity. 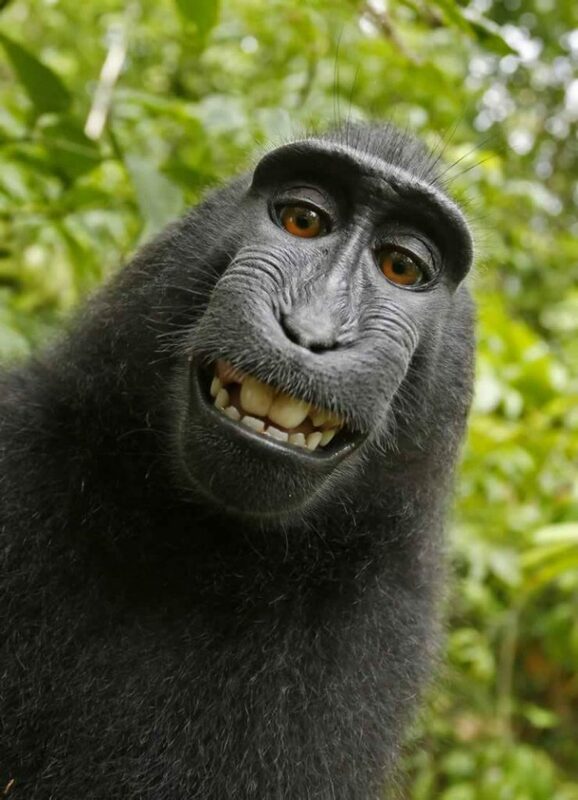 Naruto, a macaque monkey has been in a legal battle over copyright earnings from his selfie. Read more from David Slater or order prints here. PETA’s response can be read here.